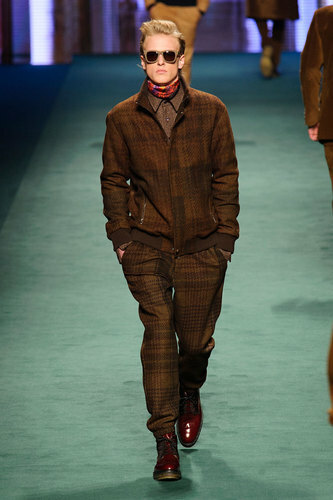 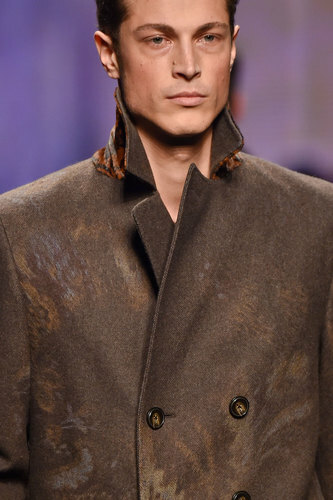 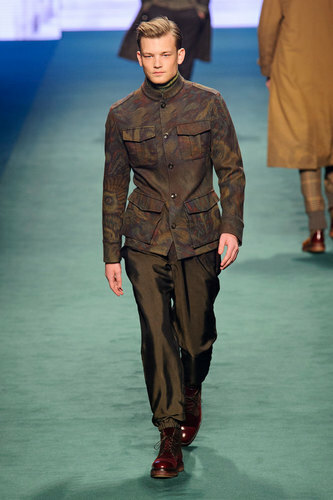 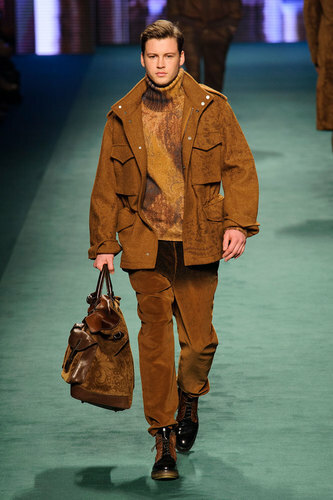 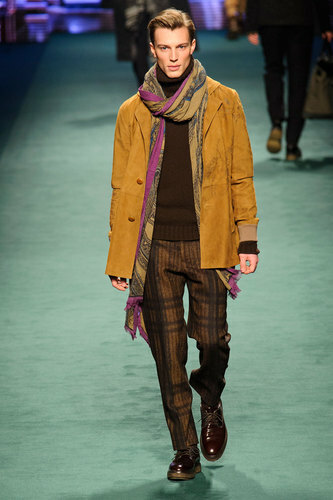 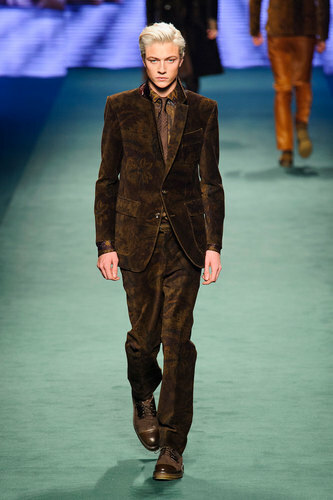 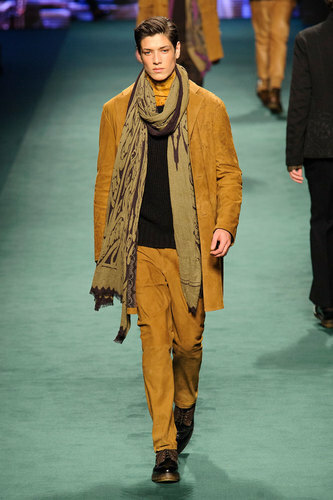 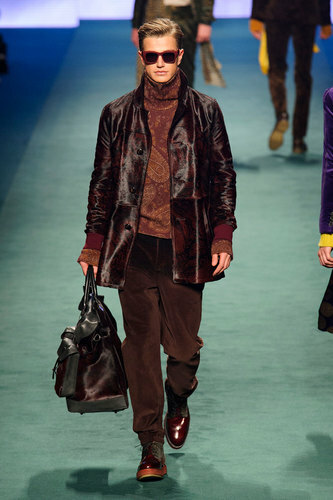 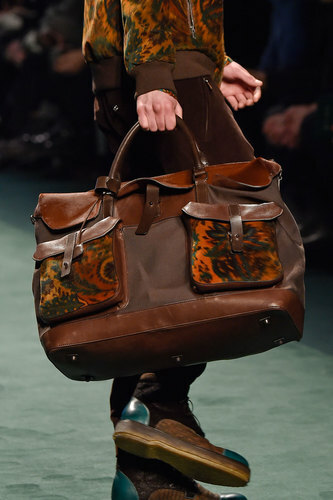 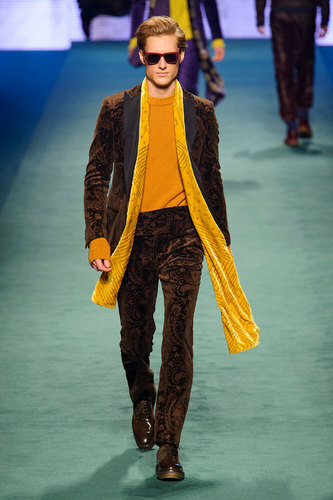 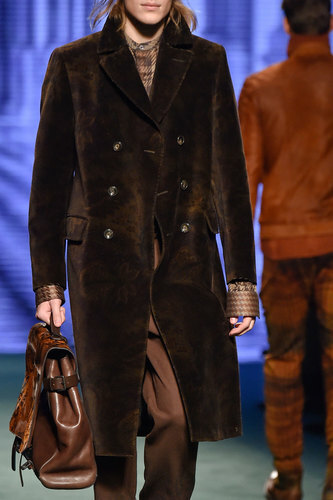 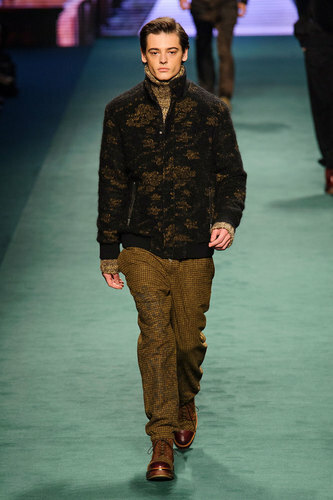 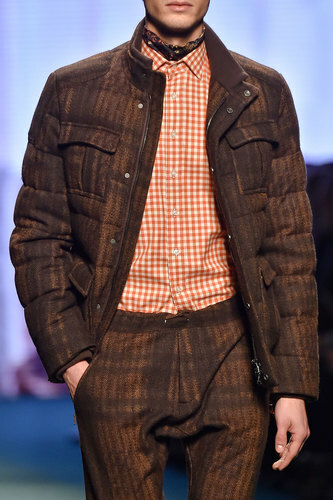 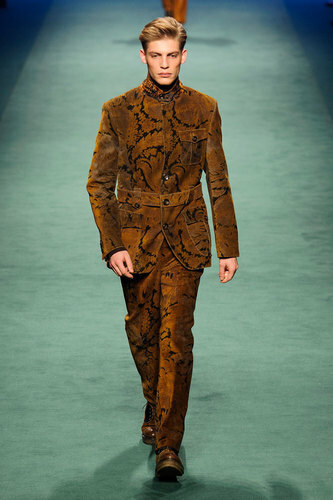 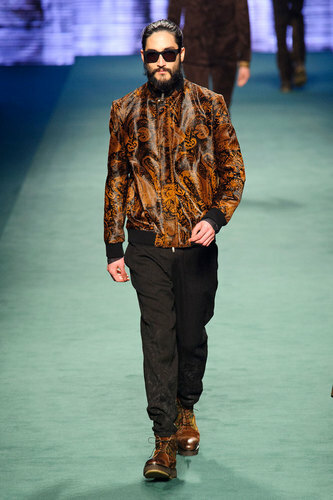 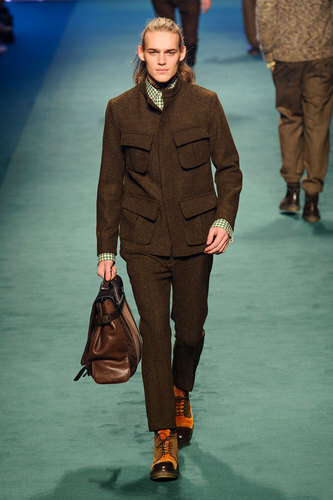 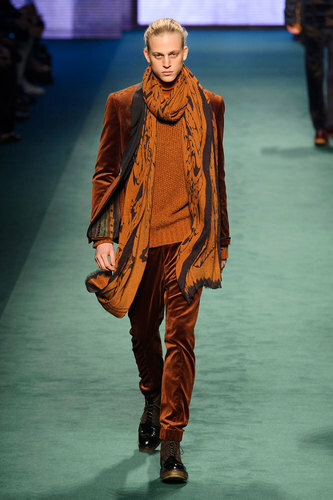 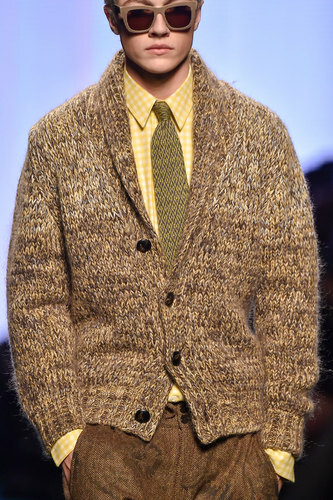 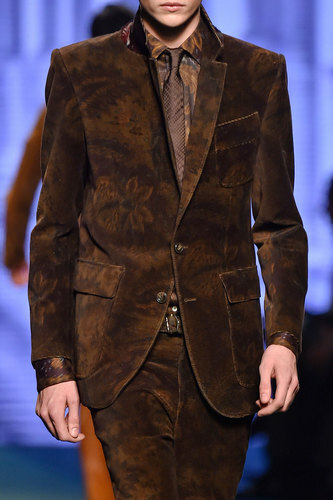 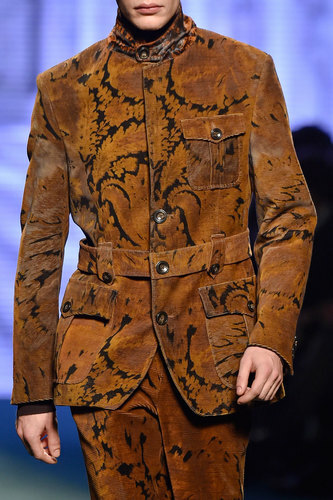 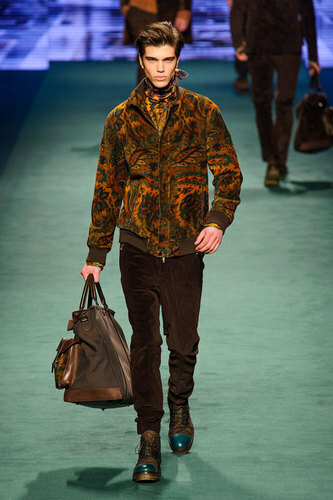 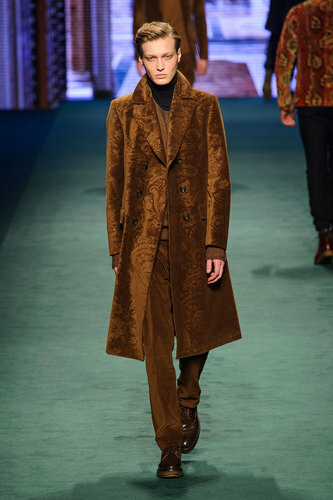 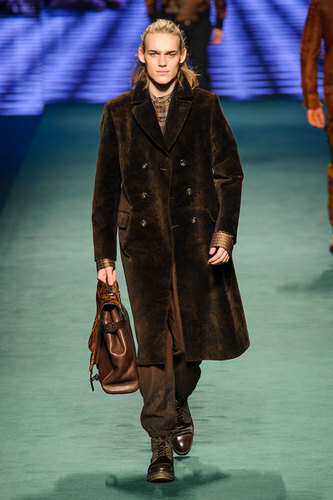 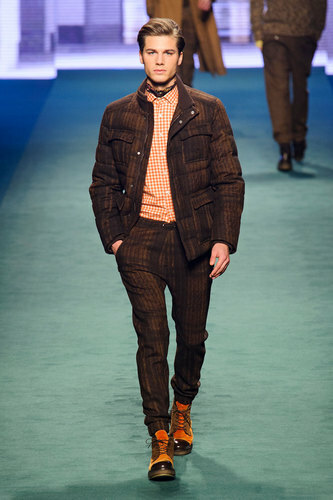 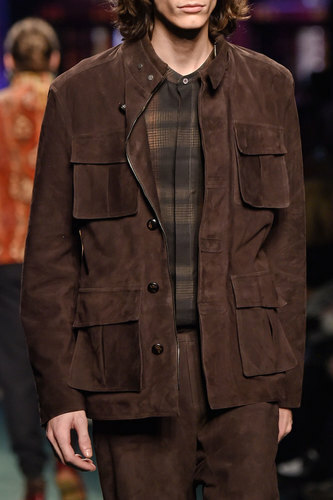 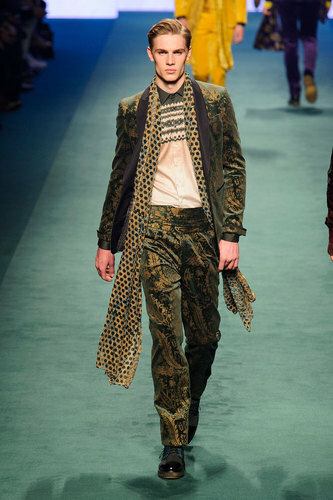 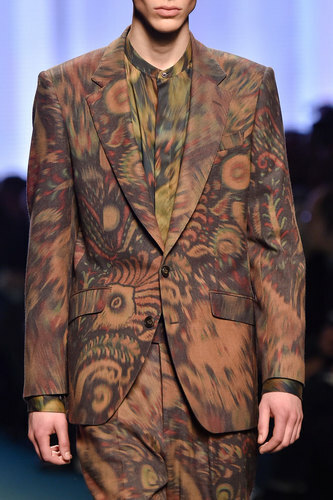 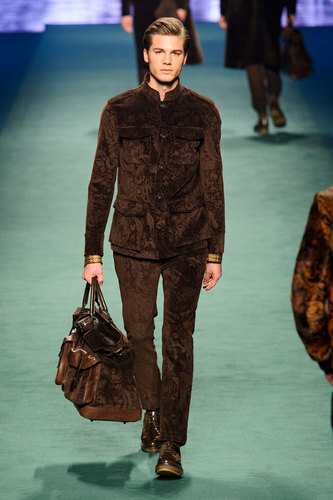 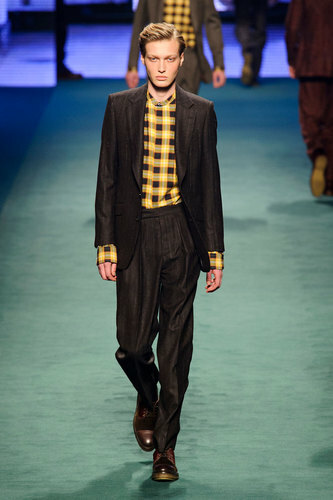 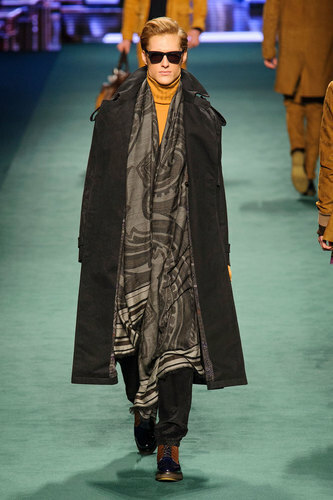 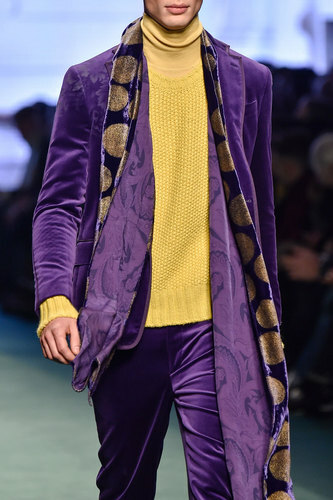 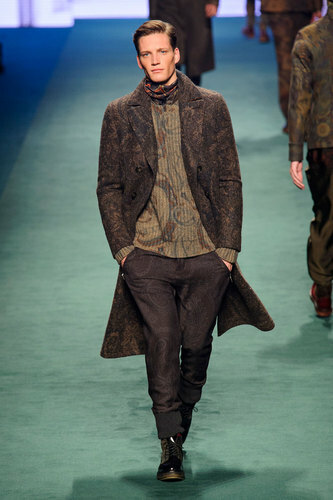 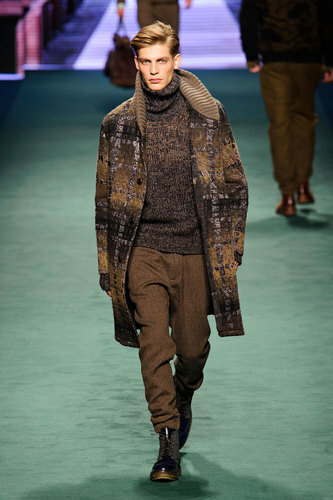 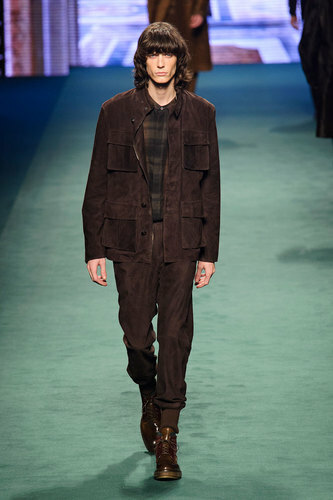 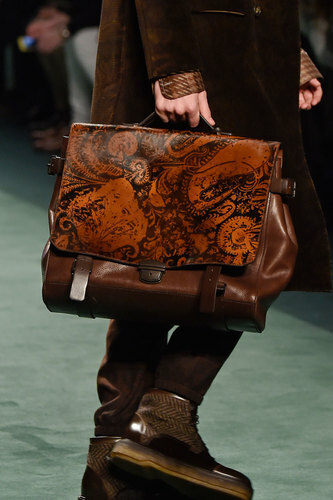 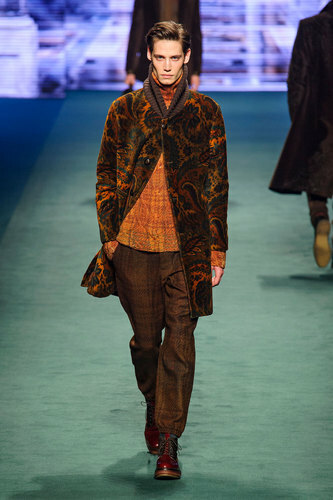 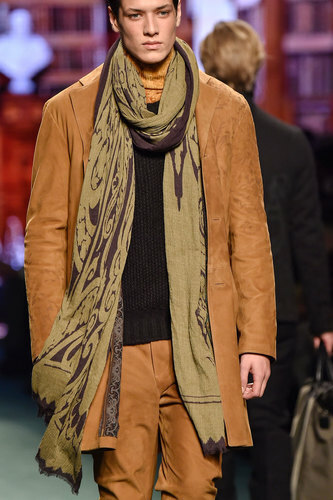 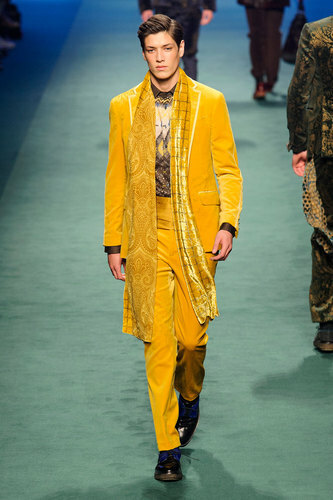 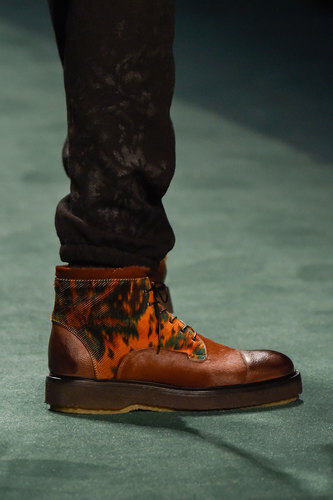 Etro Man Autumn-Winter 2015-16 – Etro last collection takes place in an evocative scenario with big safari animals images played on classic gallery background. 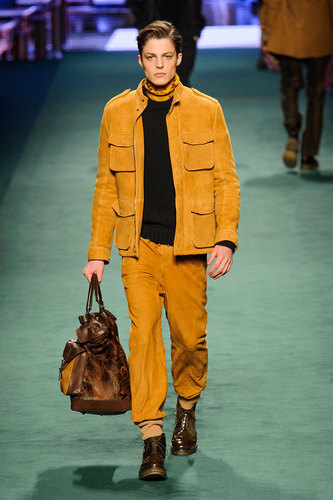 This season offers a range of exclusively brown shades with some yellow, purple and red tints. 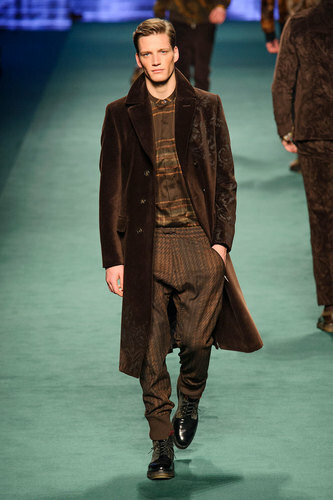 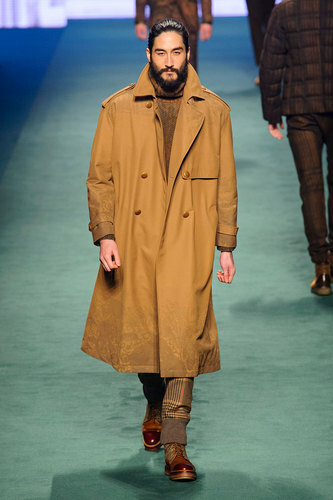 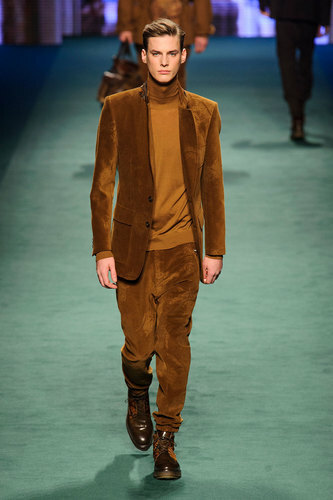 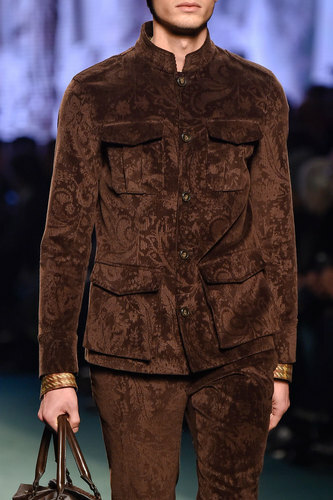 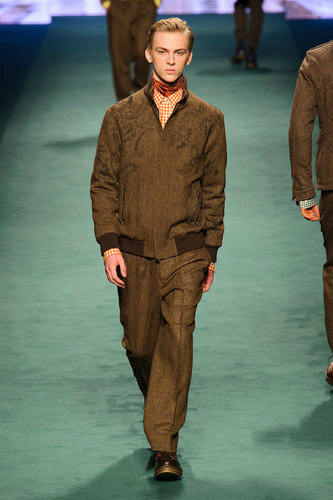 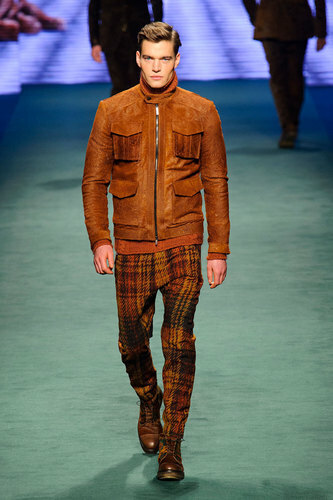 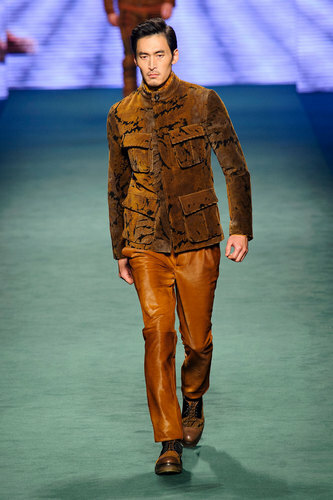 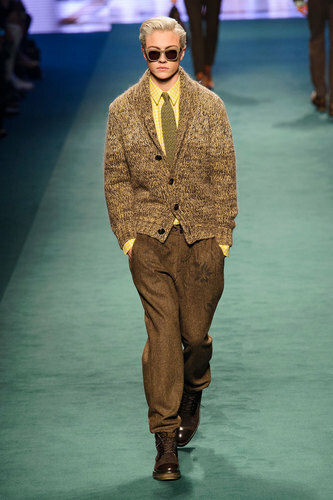 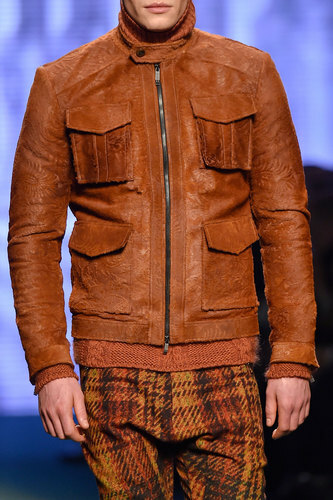 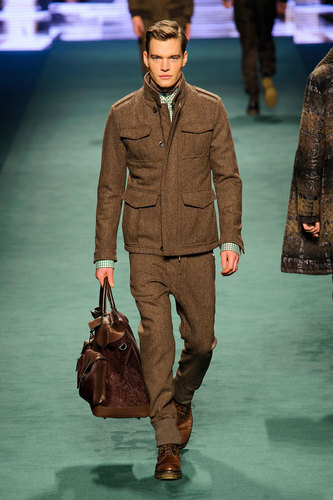 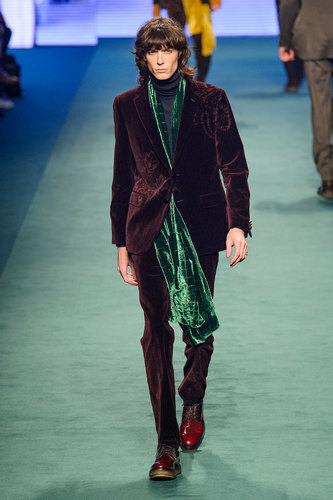 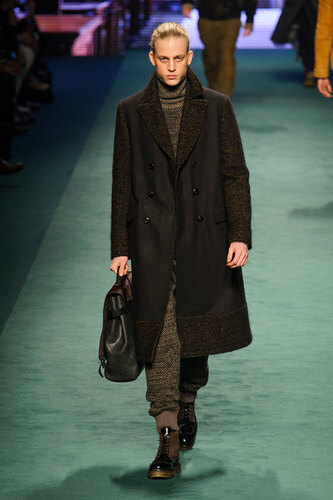 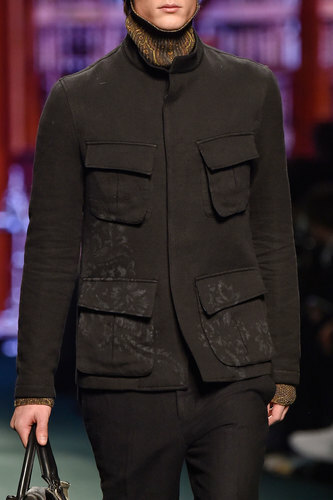 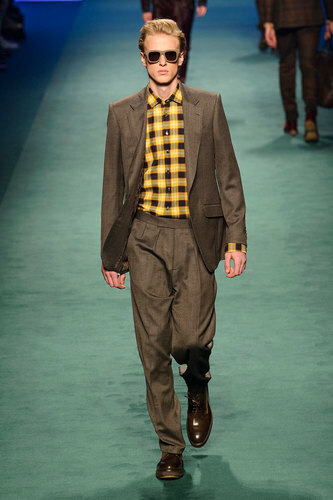 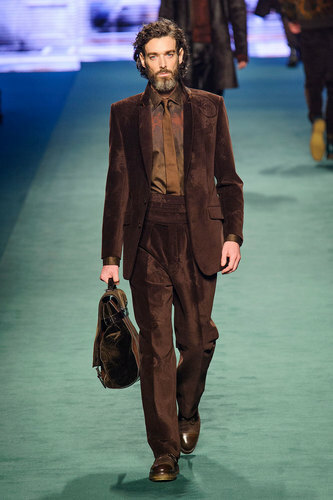 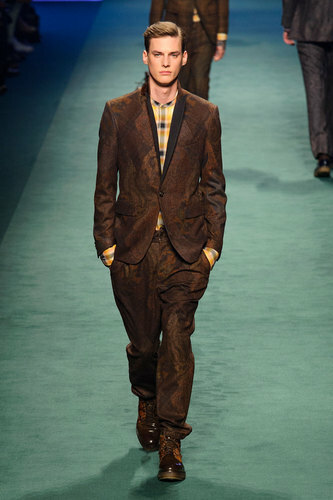 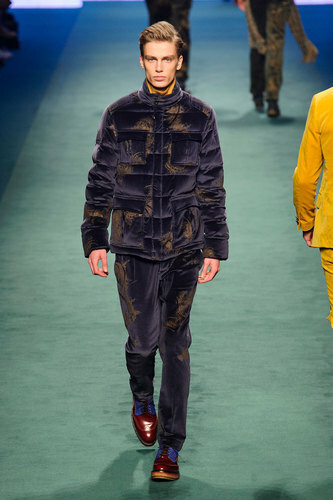 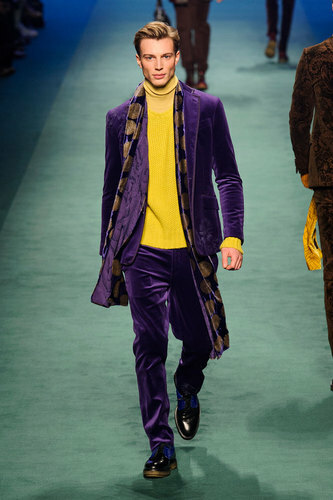 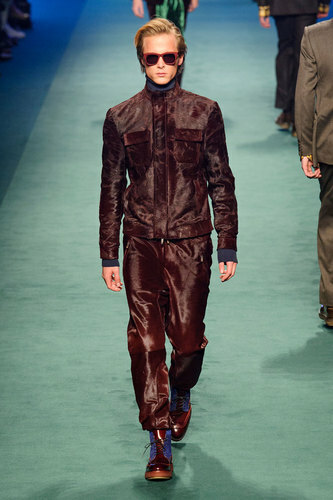 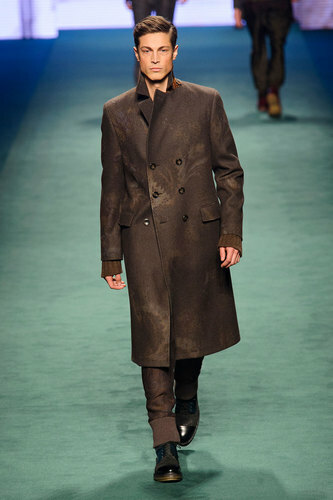 The designer used stamped velvet patterns and a lot of corduroys. 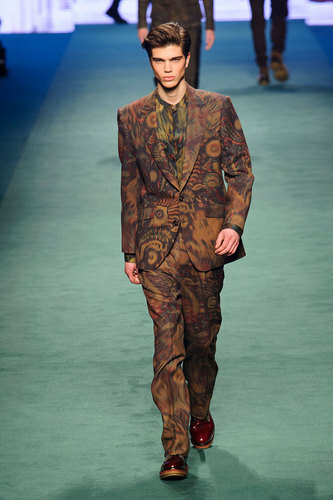 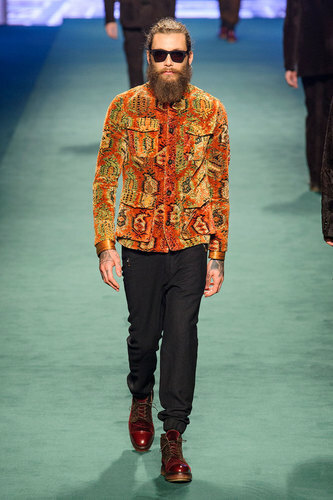 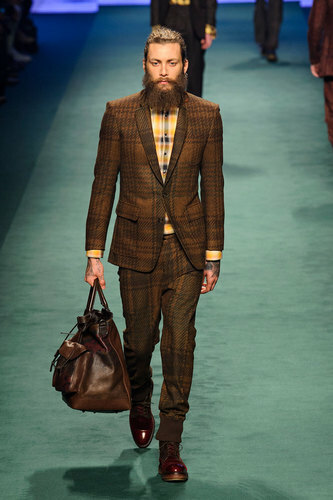 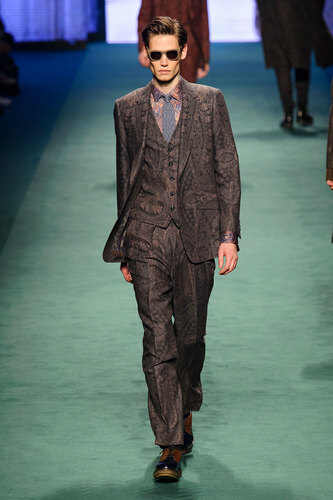 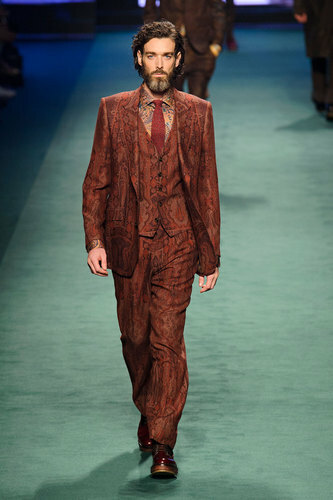 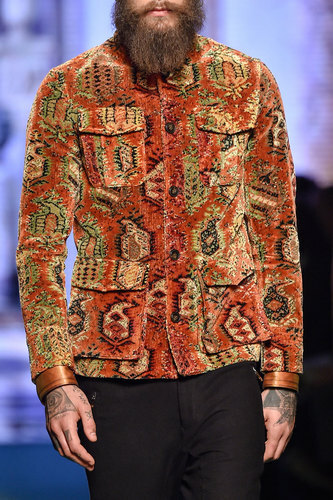 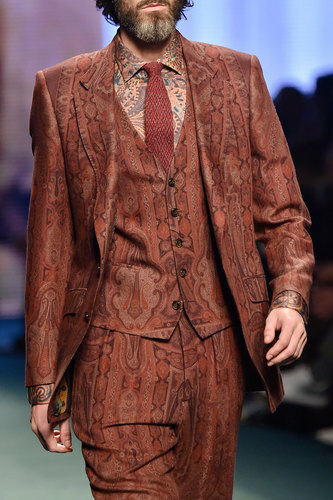 The emblematic paisley Etro textile is gently used in the garments and it is combined to monochromatic pieces or plaid suits. 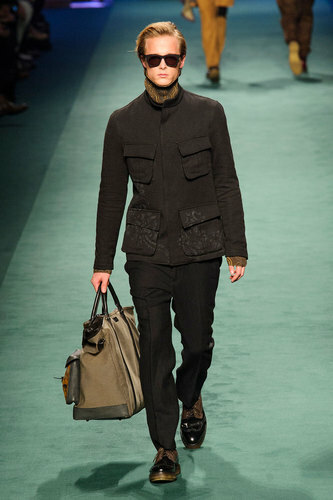 Sporty coats are stuffed with pockets. 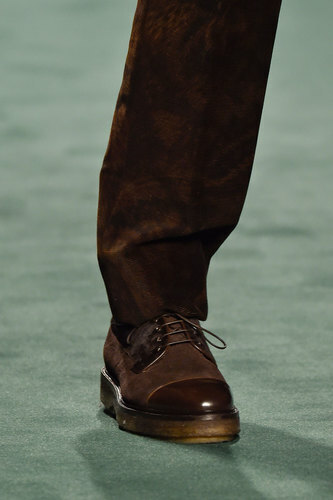 Ankle bicolor classy and shiny boots make the rest of the look complete.